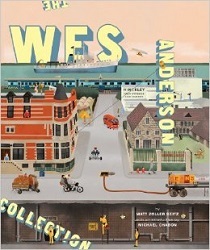 Come dressed as your favorite character from a Wes Anderson film for your chance to win a $50.00 Book Soup gift card! Runner-up prizes will be awarded too. This contest is open to individuals. 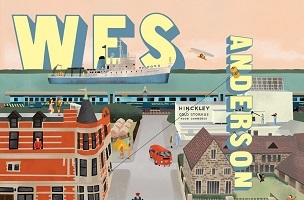 I had never seen a Wes Anderson movie. I pre-ordered the book simply because I enjoy Zoller-Seitz’s usually spot on movie reviews at RogerEbert.com and his TV reviews in the New York magazine. The day the book arrived I could not put it down. Very few books are truly unique. This one is. It’s a wonderfully done book filled with production stills, beautiful illustrations, story boards, photos and more. Even more impressive is the interview with Wes Anderson which reveals his thought processes in the writing, producing and directing of his films. It’s fascinating stuff! After reading the book I have watched three of Anderson’s movies and have become an instant fan. That’s right up there with tonight’s costume party entreaty: the idea that someone who has never seen an artist’s work would order a book about that artist’s… collected works. Well done, Mr. Seitz. While in LA, Seitz will also be hosting a February 19 screening in 35mm of The Life Aquatic at the New Beverly Cinema. Details here.